Charlotte Gibb is a contemporary fine art photographer based in the San Francisco Bay Area specializing in landscapes of the Western United States. Her images are often taken in familiar places for the well-versed landscape photographer, but she prides herself on her keen an eye toward the subtle and sometimes overlooked beauty of the natural world. 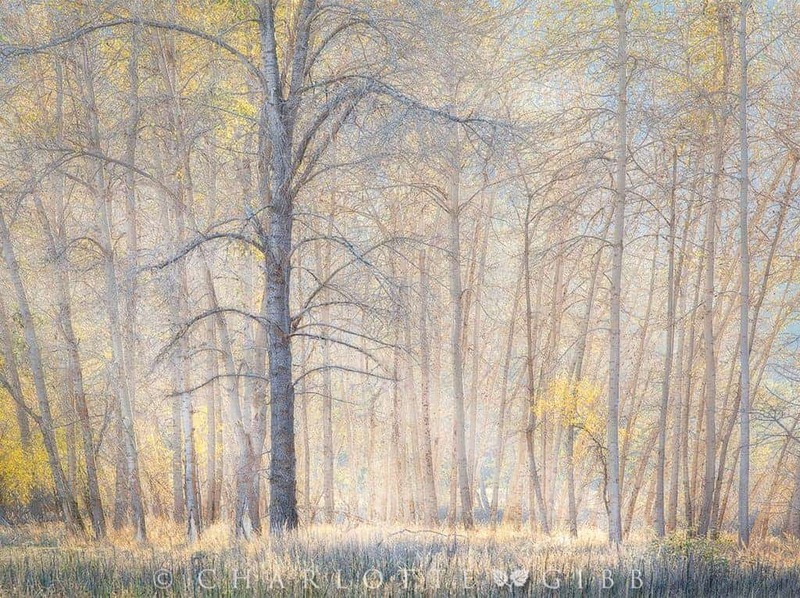 Charlotte earned her Bachelor of Arts Degree from the Academy of Art University in San Francisco and has exhibited her work in several solo shows throughout California. Her darkroom, long gone now, has been replaced with digital darkroom tools, and her style has evolved from a somewhat journalistic approach, to one that pays tribute to the natural world. Autumn is the time of year when those of us in the Northern hemisphere flock to beautiful locations to photograph the vivid and changing foliage. We love the shorter days that allow us to sleep in a bit longer, and the extended Golden Hour that gives us more time to be creative with beautiful light.